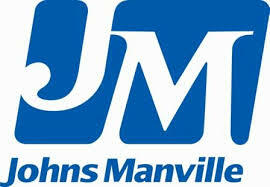 At Johns Manville, we protect our employees, families, customers and the world around us. We seek a team member who wants to help us protect today to ensure tomorrow. The Defiance, Ohio facility is hiring an Environmental Manager to join our team. In this role, you will be responsible for developing, implementing, and maintaining plant environmental programs in the areas Title V, RCRA, Storm water, and POTW permits and ISO 14001, assuring compliance with all local, state and federal regulations and company policies. As the Environmental Manager, you will drive effective programs to identify and control environmental compliance. This position reports to the Plant Manager and will be part of the plant management team. Collaborate with local management team to ensure the complex meets all local, state, and federal regulations and is properly permitted. Especially as it relates to Title V, RCRA, Storm water, and POTW permits. Serve as Complex expert in regards to site Title V air permit and associated compliance plans, ensuring all reporting completed in an accurate, timely fashion and complex operations personnel understand and maintain compliance to the permit. Continually maintain an appropriate level of awareness, knowledge and preparedness across the Complex to create a culture that prioritizes compliance to all environmental regulations. Review internal environmental policies and practices to ensure they are current and appropriate (including ISO 14001); conduct risk assessments and change existing, or develop new recommendations from these assessments. Responsible for the development of an annual budget recommendation and implementation.. Assist in investigation of all incidents (i.e. deviations, malfunctions, releases, spills, etc.) and ensure proper records are completed and submitted. Assist in implementation of corrective actions as it relates to the incident and ensure proper procedures are communicated throughout Complex. Devise, supervise and coordinate training programs or media which will increase proficiency in safe practices and promote environmental consciousness. Address specific reporting and record keeping requirements of, EPA, POTW, etc. as well as other pertinent regulatory compliance matters and to ensure Complex sites are in compliance..
Stay abreast of current and emerging technical and professional aspects of this position. Participate / attend industry related conferences as needed. This position manages subordinates and is responsible for the overall direction, coordination and evaluation of employees. 7 or more years of experience managing environmental departments, practices, regulatory agency requirements and industry standards in a manufacturing environment. Ability to communicate across all levels of the organization. Work at JM is challenging and rewarding. You will receive the support of a global workforce that is committed to building a sustainable future for our customers, our employees, our owners and the communities in which we operate. Feel appreciated, trusted and rewarded. Enjoy interesting and engaging work. Benefit from the support of an inclusive workforce.